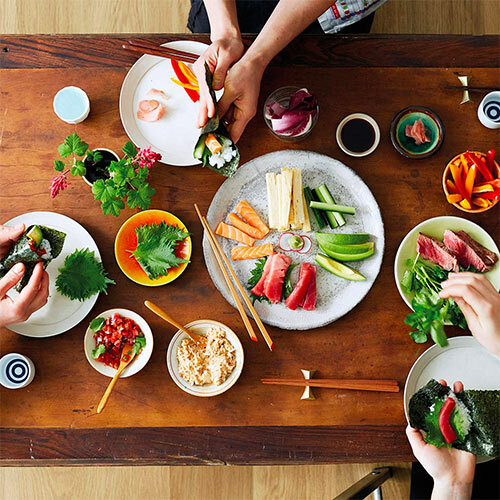 A hands-on practical sushi making class with Noriko, first of all you will make the proper sushi rice, then making your own sushi and sashimi! Join our hands-on practical sushi-making class with Noriko Tanaka from Sakeya London. We would love to share our love of sushi with you! In this hands-on sushi-making class, Noriko, a guest chef at Atsuko’s Kitchen, will guide you, step-by-step, through the art of the sushi-making process, combining traditional techniques and new approaches. Firstly, you will learn how to make classic premium white sushi rice, then make your own rolled sushi with your favourite fillings such as salmon sashimi, spicy raw tuna with avocado. Beside rolled sushi, you will also learn to make different kinds of nigiri and aburi (seared nigiri). We provide fine quality Japanese products and sashimi-quality fish as always. Noriko is a highly skilled professional sushi chef. 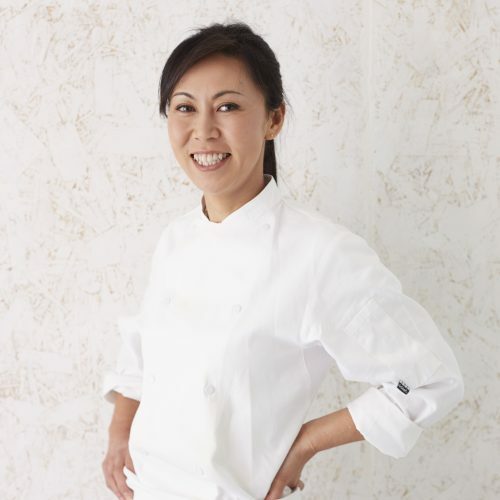 After completing her art degree in sculpture at The Slade School of Fine Art, Noriko joined the acclaimed Nobu Park Lane’s kitchen and worked there as a sushi chef for 10 years. Strong of her experience at one of London’s best sushi restaurants, she decided to open her own sushi bar Sakeya in Pop Brixton in 2017. Serving affordable high quality sushi in a stylish but casual environment, Sakeya has been a must-stop eatery for all sushi lovers in South London since it opened its doors. Atsuko collaborates with her for events and classes since 2016. Knife skills – how to slice fish fillets for nigiri sushi and maki sushi. *There will be alternatives for vegans or vegetarians. Please let us know your dietary requirements in advance. We start the class with an introduction on the different varieties of sushi, followed by the cooking session and then the eating of your delicious cooking labour! The class will take 3 hours.